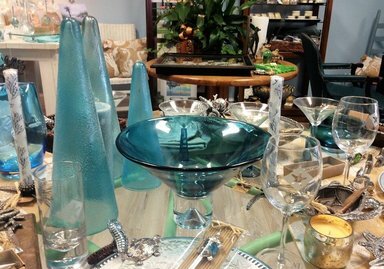 Crystal and glass create an enchanting ambiance and visual interest to any setting. Add a little glitter or a big dose of glamour with crystal decorations and hand-blown glass. Our treasures come in all shapes, sizes and prices.